I’ve got a thing about reclaimed and scrap wood today. Already posted today about the floating reclaimed wood shelves. 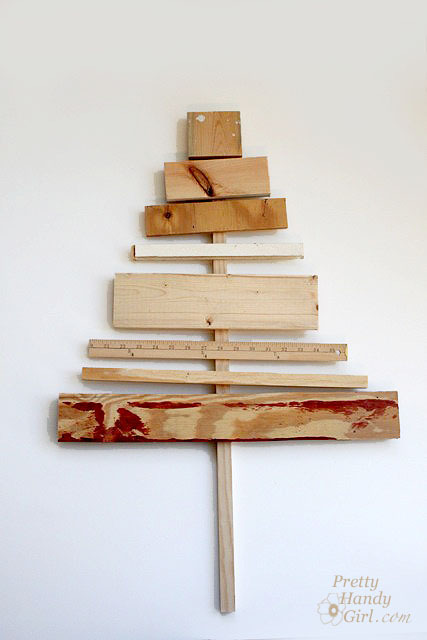 But couldn’t resist to share this deliciously adorable scrap wood Christmas tree with you. Hop over to Pretty Handy Girl’s site where Brittany will give you the full run-down so you can create your own. 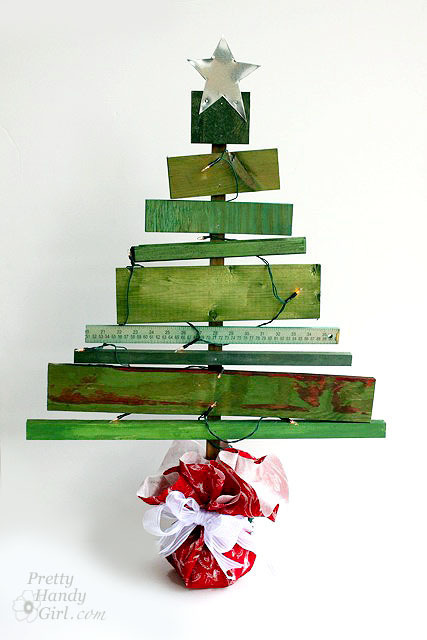 The recycled and repurposed season is bright this year! I did this with my 3 boys years ago (when they were 5, 5, and 3) and it's still my favorite Christmas decoration to get out. Ours stand about 18" high and don't have lights, but I love them! !